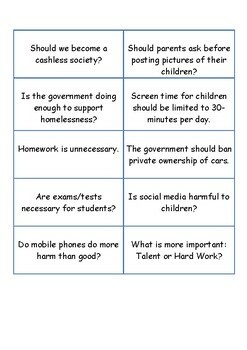 Debating skills develops children's confidence and enables them to enhance their communication skills. In January 2019, Ofsted (UK) announced that schools with debating clubs will be "rewarded" because such activities "help build children's resilience". 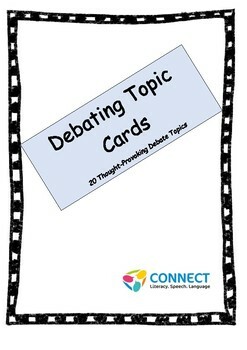 These tasks cards provide 20 thought-provoking debate topics that can be used in debate clubs at schools or to stimulate interesting discussion at home.